Microsoft teases speaker to rival Amazon Echo | What Hi-Fi? 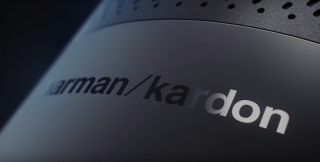 The speaker, which appears to have the Cortana interface on its top, will be made by Harman Kardon. It's set to debut in 2017. A 30-second video isn't much to go on, but one thing is clear: Microsoft is set to take on Amazon's Echo and Google's Home with its own AI speaker. Harman Kardon, which was recently purchased by Samsung, is the manufacturer making the speaker. It is unclear whether there will be a variety of speakers, similar to Amazon's product range. Its design appears to look similar to the Echo, with a display at the top that lights up with the circular Cortana interface. Cortana is Microsoft's voice-assistant, much like Siri on Apple devices. Pricing and further details are as yet unknown, but since the speaker is due to debut in 2017, it's likely that Microsoft will start dropping more hints soon. Recently, Microsoft announced plans for its Windows 10 HomeHub, which will allow you to use the Cortana voice assitant on PCs. As such, we wouldn't be surprised if this new Cortana speaker had connected functionality with other Microsoft products, similar to how Amazon's Fire 8 HD tablet can be used in conjuction with the Echo and Dot.